With summer, comes the bounties of the garden… and sometimes, those bounties are never ending. We had a huge zucchini harvest this year and I’ve had to find creative ways of adding it to our meals. My kids loved these veggie bean patties and it’s a great way to add healthy protein sources to the summer diet. I try and keep the recipe as healthy as possible and opt out on frying them, but you can do that too. 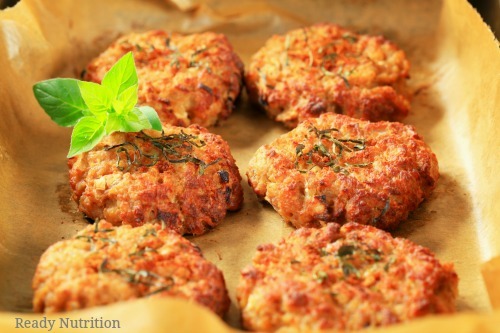 Dip these yummy patties in Ranch dressing and it’s amazing! Also, they make great patties for veggie burgers. Enjoy! Preheat cast iron griddle on medium heat and spray with nonstick cooking spray. In a blender, add garbanzo beans and oil and mix until smooth. Add grated vegetables and mix until incorporated. Add remaining ingredients and mix until combined. Form patties and place on hot griddle. Cook 3-4 minutes on eat side or until a crust forms. Flip patty and cook an additional 3-5 minutes.